I do a rigorous search for software business ideas to make sure what I bring you are real examples and the best of the best ideas being practiced by real people around the world. I promise to list ideas that an ordinary person with an entrepreneurial spirit can relate to or connect with since they are from people who started from scratch as a start-up. Starting a software business, just like any other business is a process that requires planning and therefore, you will need a software business plan after doing a good research on how to start a software business. Do you intend to be developing your own software and selling or do you intend to buy and sell software? Do you to do your software business online or ofline? What kind of software do you intend to make or sell, who is your target market? After asking putting the above questions into consideration, you will have come up with a perfect software business idea. 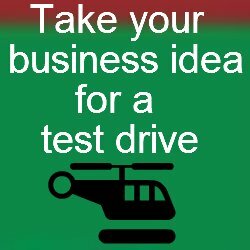 Here is a list of software's that can help you come up with great software business ideas. I hope they will be of much help to you.